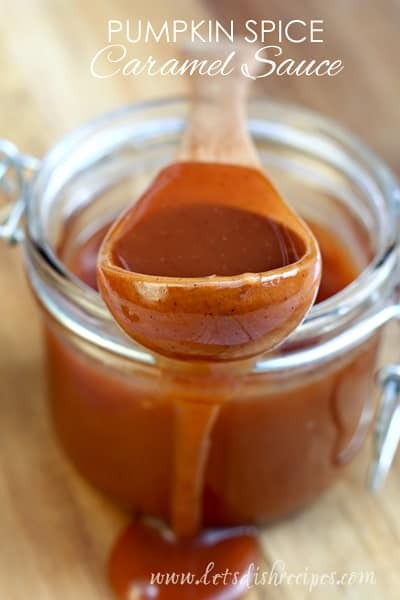 PUMPKIN SPICE CARAMEL SAUCE — Thick, rich caramel sauce is infused with pumpkin pie spice in this decadent dessert topping that will take your fall treats to the next level! I’m sure you’ve noticed, but pumpkin spice season is officially upon us. 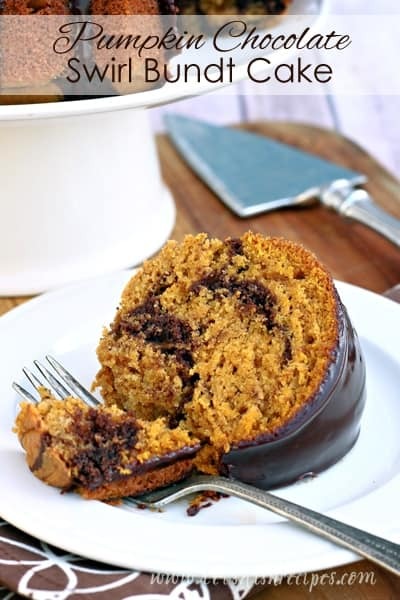 And if you’re a fan of everything pumpkin spice, then you are going to love today’s recipe. This Pumpkin Spice Caramel Sauce is the perfect way to add the flavors of the season to just about anything. 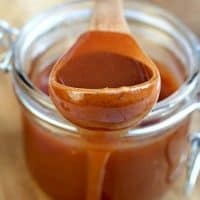 This simple caramel sauce is infused with a hint of pumpkin spice and is a wonderful addition to all of your fall baking. We’ve used it on ice cream, cheesecake, and as a drizzle for bundt cakes. I highly recommend stirring a spoonful into your morning oatmeal. I’m positive it would also be delicious on pancakes, waffles, and french toast breakfast casseroles. And it makes a perfect dip for apple slices! You’re going to want a heavy bottomed pan to make this caramel sauce, otherwise you’ll run the risk of it burning. And be sure to keep a close eye on things during cooking. It can go from amber-colored to burnt in a matter of seconds! I do recommend having some water and a silicone pastry brush handy to remove sugar crystals from the side of the pan while the mixture boils. And make sure you use a larger pot than you think you’ll need. The sauce bubbles up very vigorously when you add the butter, cream, vanilla salt an spices at the end of cooking. This recipe isn’t difficult, it just requires a bit of care, but it only takes 10 minutes to make! I’m still dreaming about all the ways I can use this decadent pumpkin spice caramel sauce. 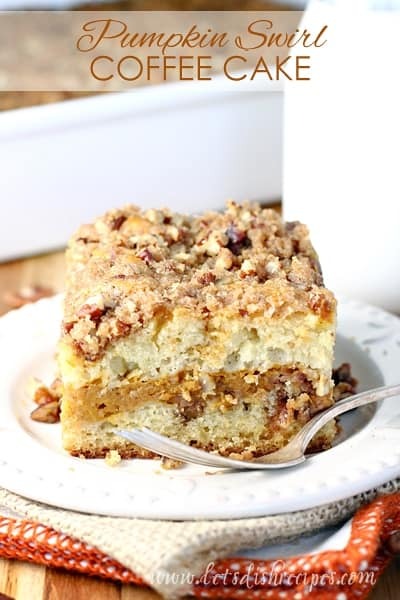 One thing is for certain, it will take your fall desserts to the next level! 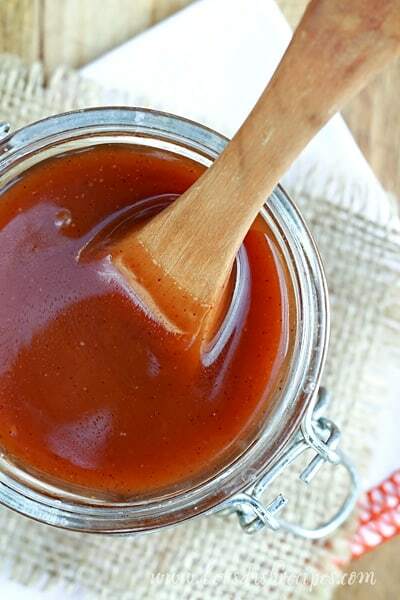 Be sure to save this Pumpkin Spice Caramel Sauce recipe to your favorite Pinterest board for later. Thick, rich caramel sauce is infused with pumpkin pie spice in this decadent dessert topping that will take your fall treats to the next level! In a medium saucepan, bring sugar and water to a boil over medium heat. Cook without stirring until the mixture is amber colored, about 10 minutes. Brush the sides of the pan with water as the mixture cooks to prevent the formation of sugar crystals. Remove the pan from the heat and carefully whisk in butter, cream, vanilla, salt and pumpkin pie spice. Careful: the mixture will boil vigorously during this step. Let sauce cool completely before serving. Cover and keep in the refrigerate for up to a week. Warm or bring to room temperature before serving.